We are always thrilled to see a wreck of a home turned into a masterpiece. When 1309 Grinnell Street sold last summer, it was definitely in need of some major TLC. 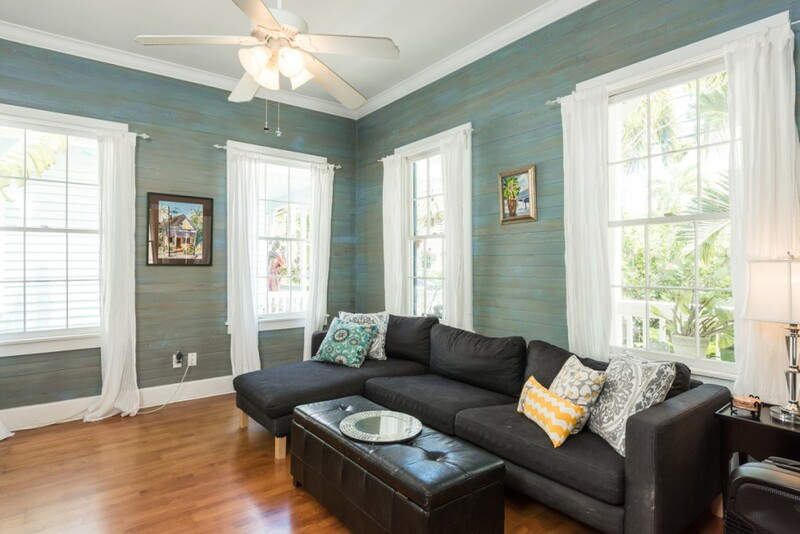 After a total renovation (from a new metal roof and impact resistant doors and windows; to new high efficiency air conditioning and electrical wiring), the 3 bedroom/3 ½ bath, Casa Marina home shines like a new penny. The five things that top our clients’ wish lists are: a ground floor master suite, off street parking, X Flood Zone certification, a pool, and covered outdoor space. 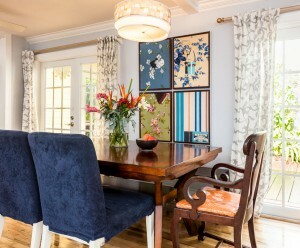 This exemplary renovation has answered the call. 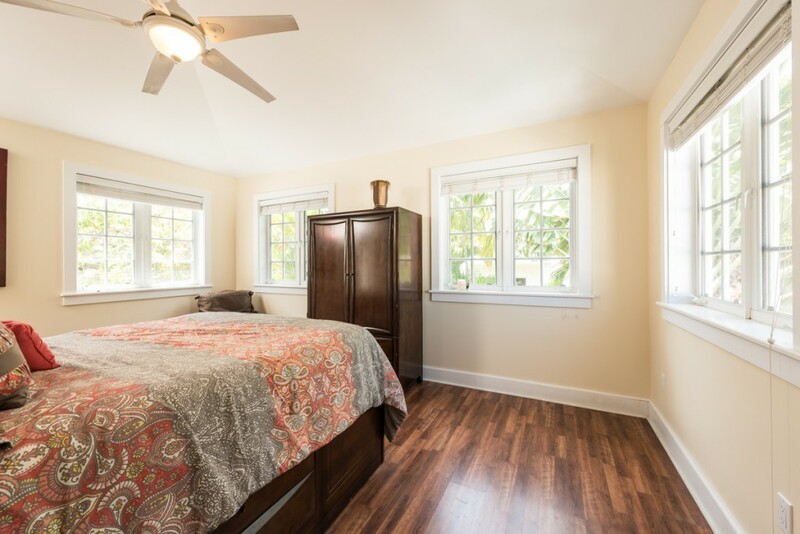 The beautiful first floor master bedroom features new oak hardwood flooring, custom made barn doors that conceal a wall mounted television, and a superior walk in closet. 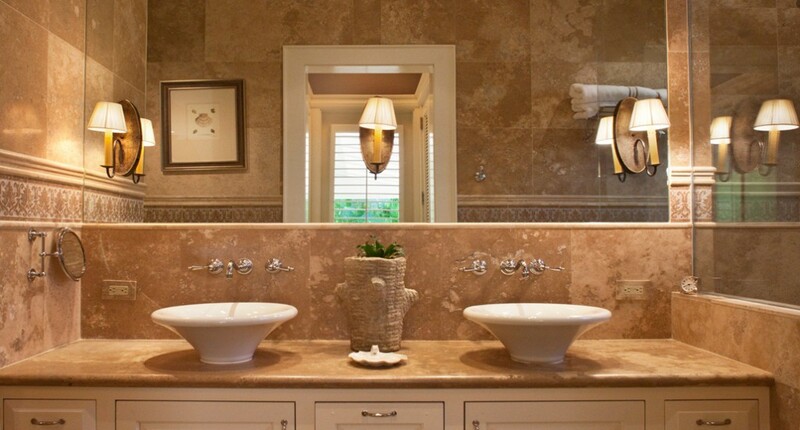 With imported Spanish tiles and a pass through shower, the master bath is not to be missed. There is highly desirable, off street parking for more than one car. The property sits high and dry in the X Zone. 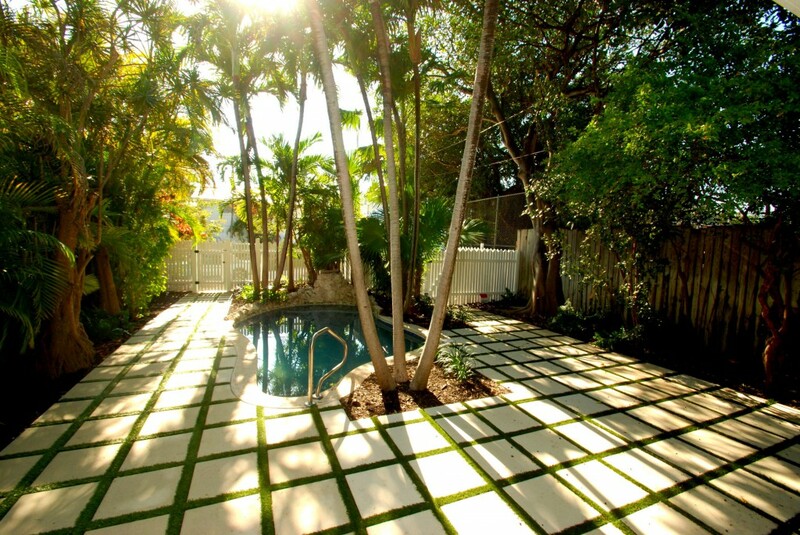 Hidden from the street, the sparkling free-form pool is surprisingly located in the front of the house. 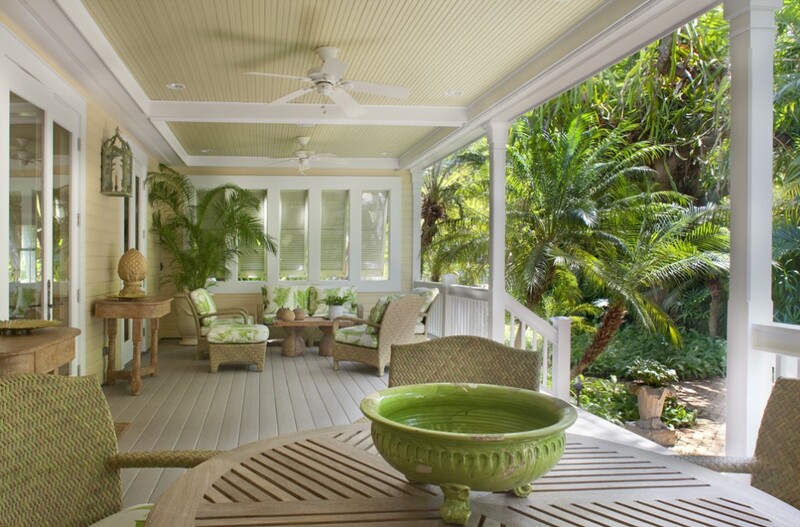 Overlooking the pool, the large front porch and deck will welcome you home. 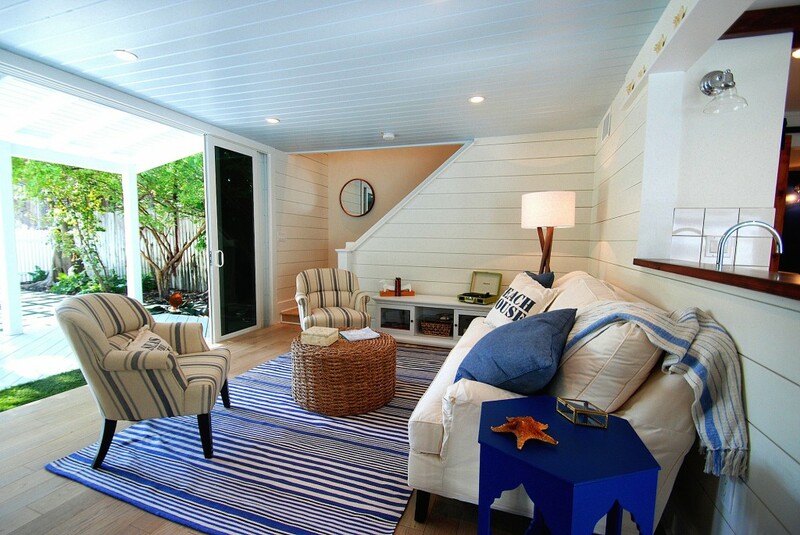 Gorgeous impact resistant sliding doors allow outdoor living to comfortably flow inside. 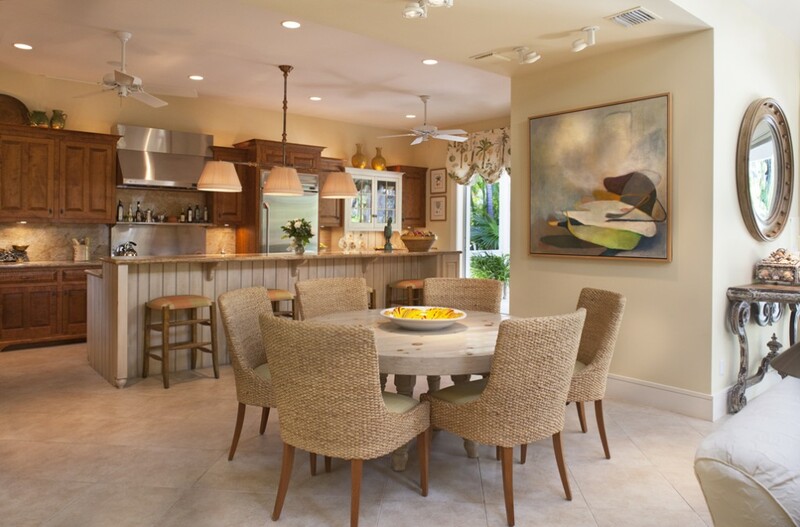 Straight out of Coastal Living, the stylish living room opens to the large and inviting chef’s kitchen. 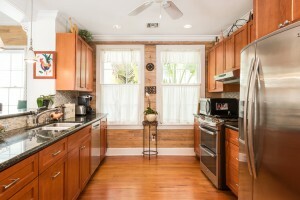 We love the wonderful built-ins, Kenmore Pro Series appliances, and the convenient laundry room with a half bath. 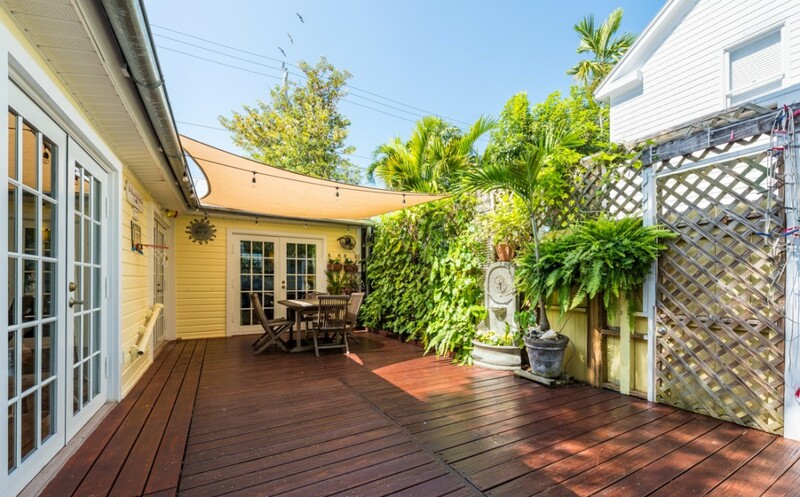 Just off the dining area, a sun-dappled deck allows for carefree outdoor entertaining. 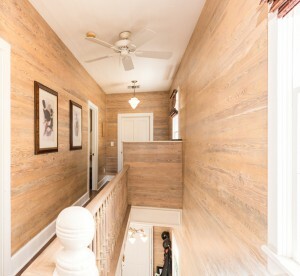 A welcoming family area awaits at the top of the stairs. 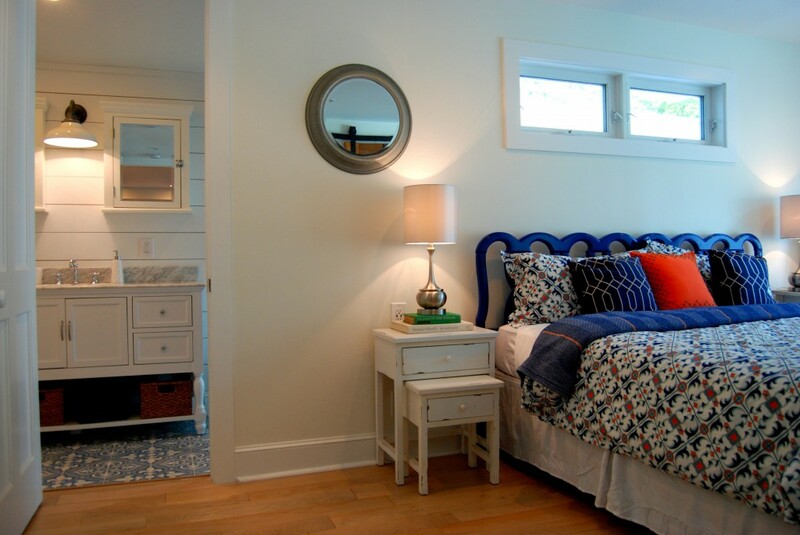 The terrific, second master suite boasts a vaulted ceiling and a spacious walk in closet. 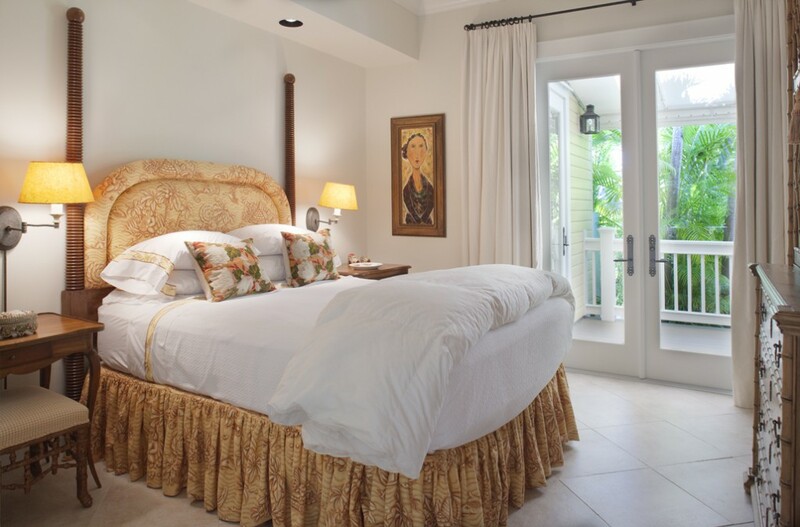 A sunny upstairs guest bedroom connects to a third bathroom with designer marble flooring and a cast iron tub. 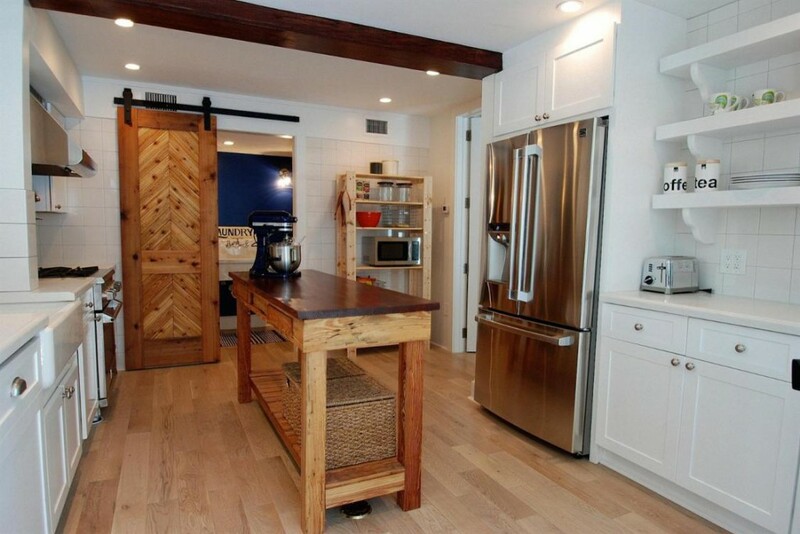 The transformation of 1309 Grinnell Street is no less than extraordinary. Call us to schedule your private showing today. 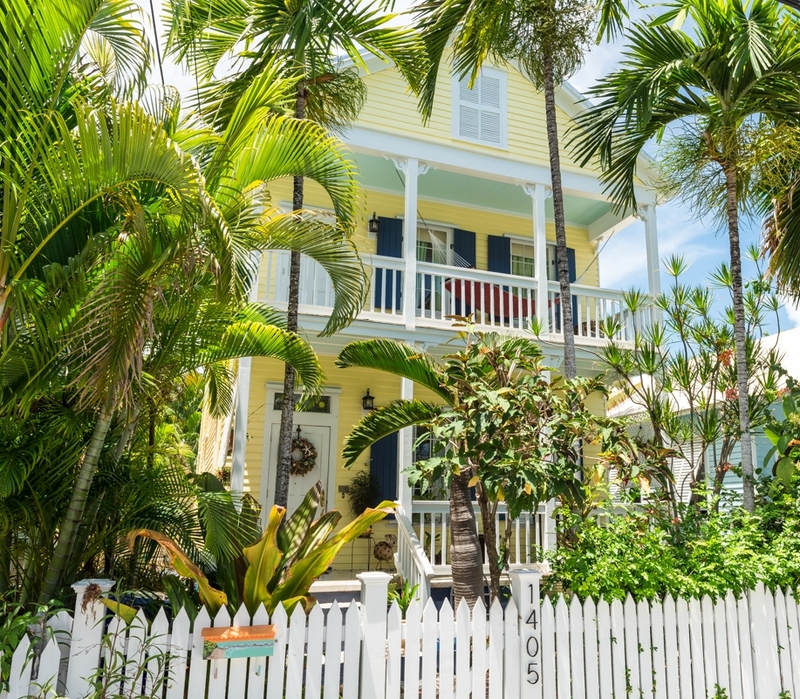 This entry was posted in Homes We Love and tagged beach style, Casa Marina, Coastal Living, cottage style, front porches, homes, Key West, Key West cottage style, Key West lighthouse, key west real estate, pools on March 21, 2016 by Dean. 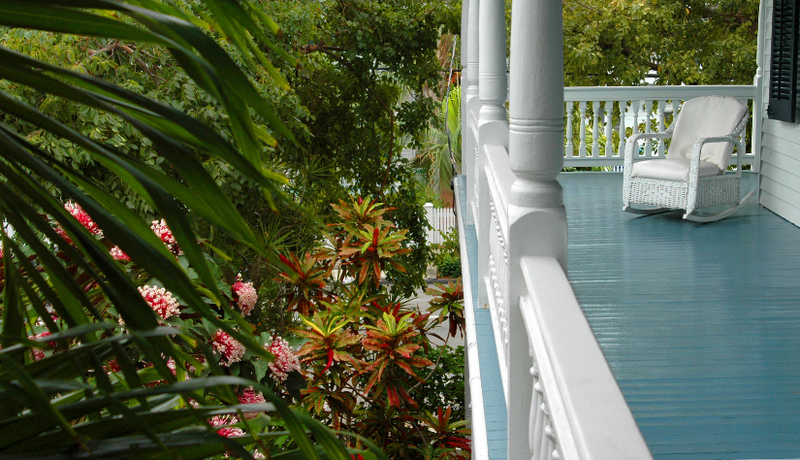 It is no wonder that the most desirable area to live in Key West is its historic Old Town neighborhood. Amid picturesque Victorian era streets and a lifestyle lived visiting on front porches or strolling to dinner at favorite neighborhood eateries, Old Town is the authentic version of classic small town America that the New Urbanism movement has been recreating across the country for decades. There is simply no place as beguilingly beautiful as this veritable corner of paradise. 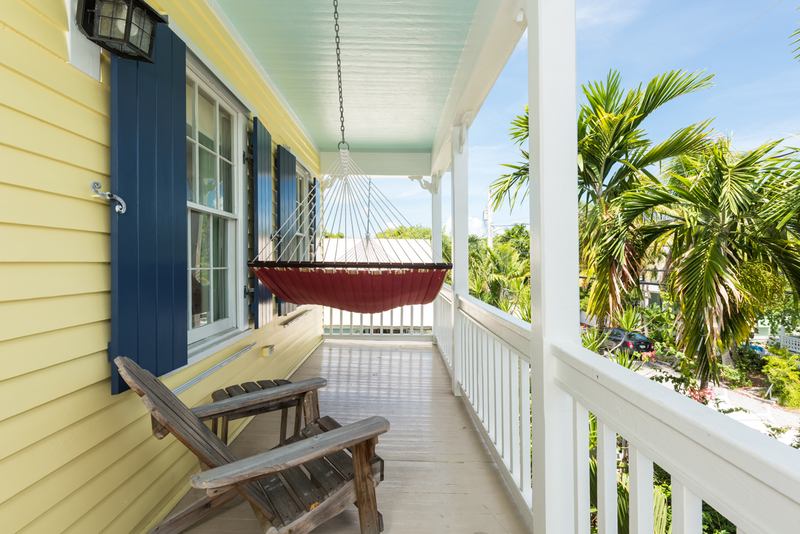 Just down the block from 5 Brothers Grocery & Sandwich Shop—arguably the best place in Key West to enjoy a famous Cuban mix and an authentic Cuban coffee—there is a beautifully renovated, 3 bedroom/2 bath, cottage that just might be the family vacation home of your dreams. 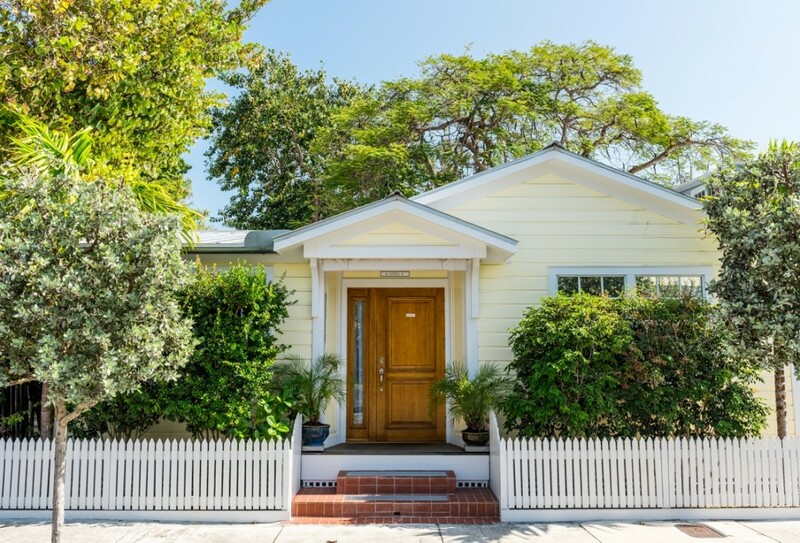 The charming yellow cottage, with impeccable curb appeal, is part of an Old Town compound of seven single family residences that share a large, resort style pool. 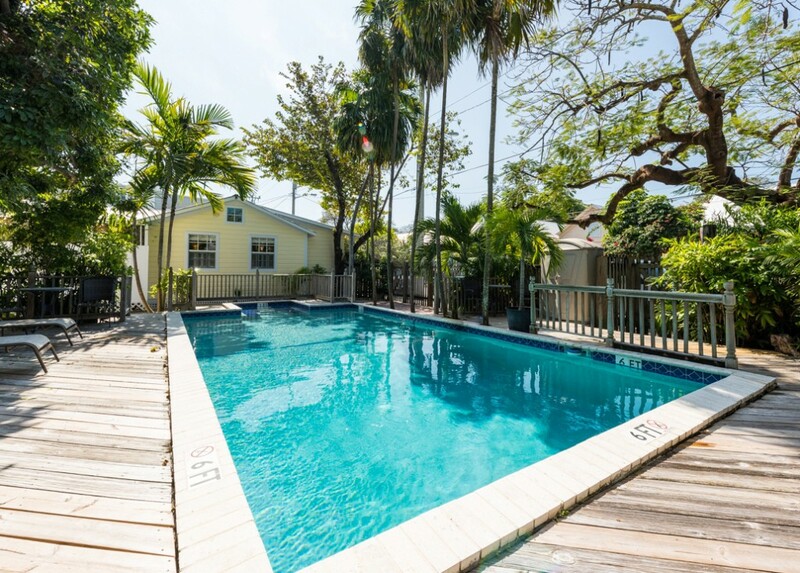 Combining the benefits of single family home ownership with the convenience of a homeowners association taking care of the pool and landscaping, 611 Grinnell Street #1 is the ideal choice for anyone looking for an easy breezy, authentic Key West retreat. 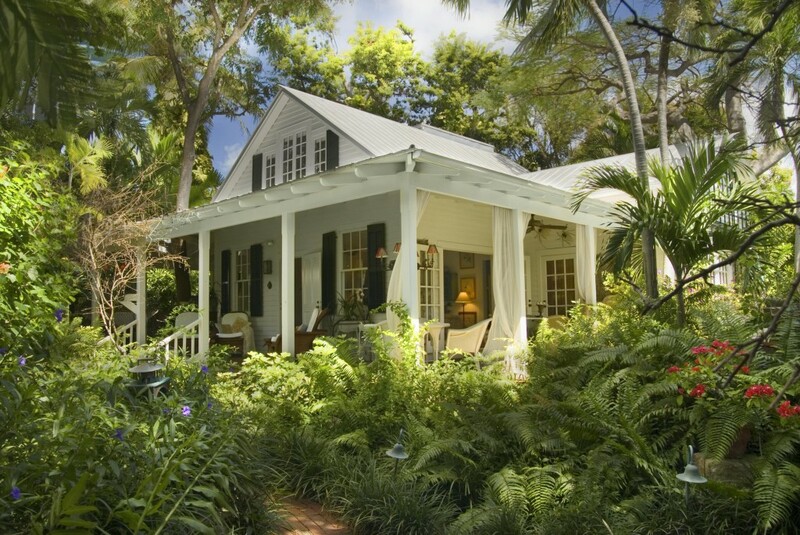 A quintessential white picket fence, verdant landscaping, and a refashioned façade welcomes you home. Contemporary open-plan living abounds in the newly renovated interior. 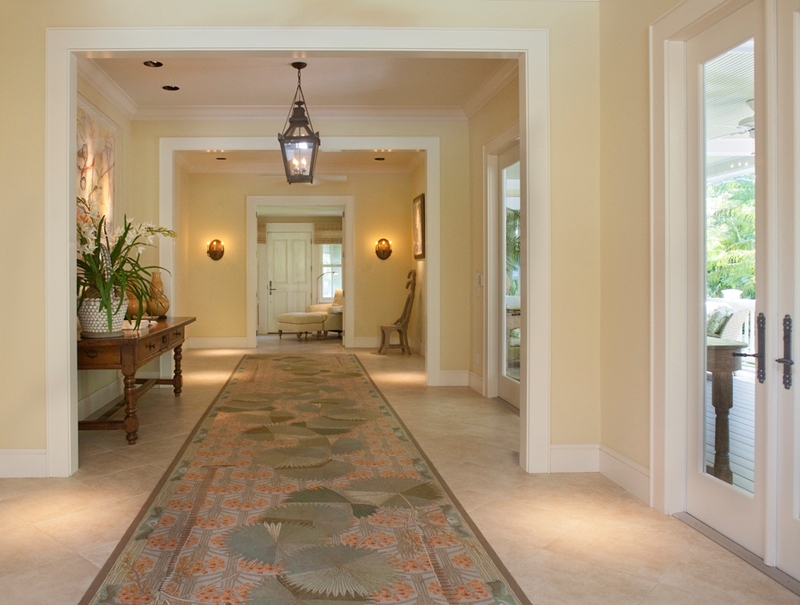 The lovely entry leads to a spacious, bright and airy, great room. 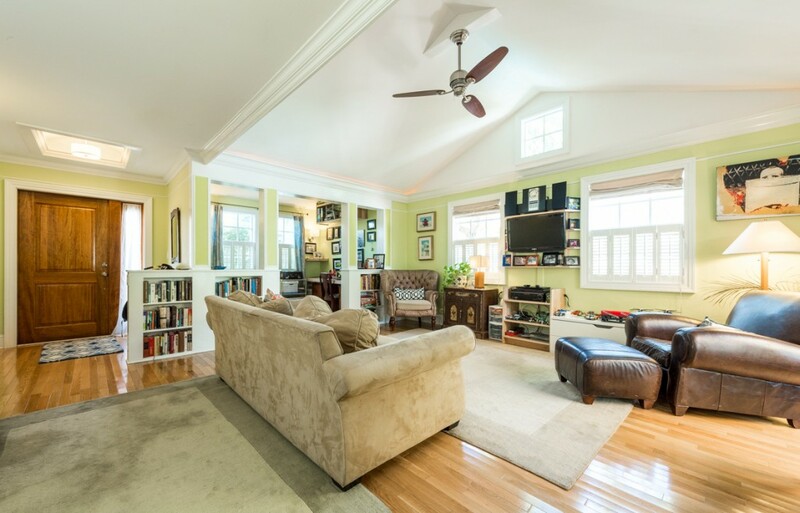 A perfect office, two bedrooms, and an updated bathroom round out the front of the home. 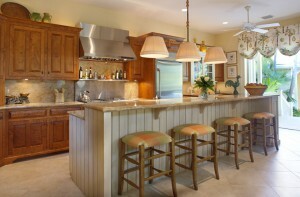 The stylish dining area and cottage style kitchen continue the wonderful flow. 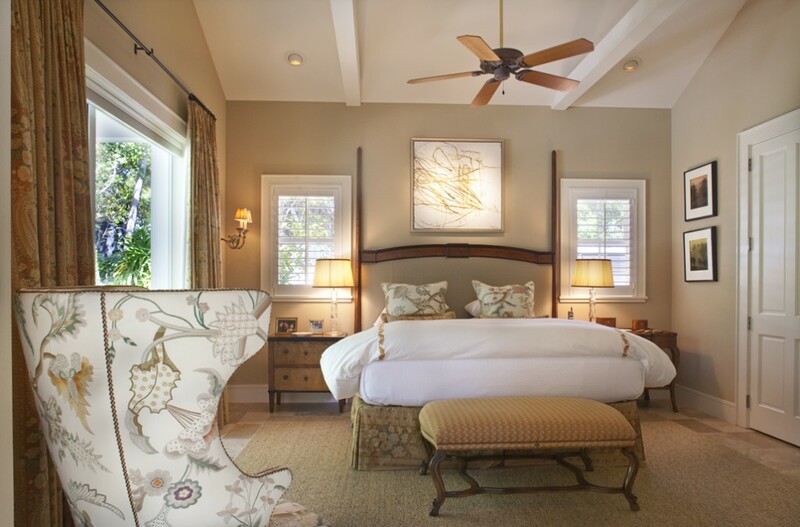 For added privacy, the tranquil master suite is situated at the rear of the home. 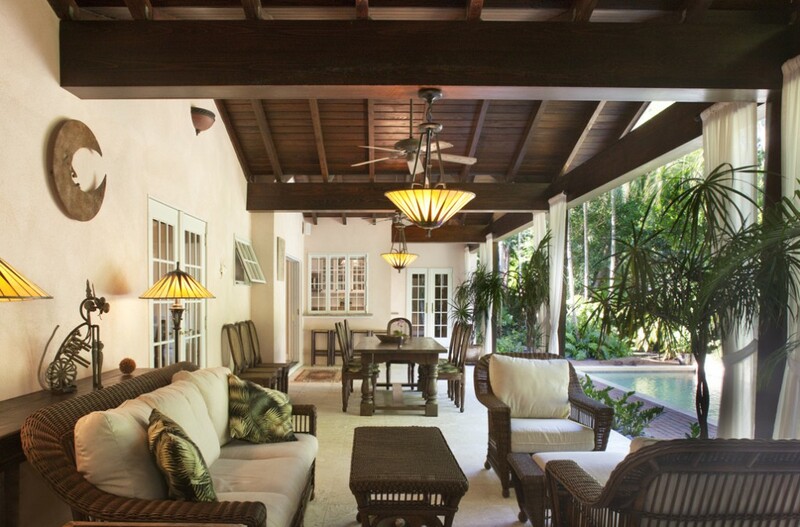 Creating the best of tropical indoor/outdoor living, four sets of French doors open the home to a sunny private courtyard. 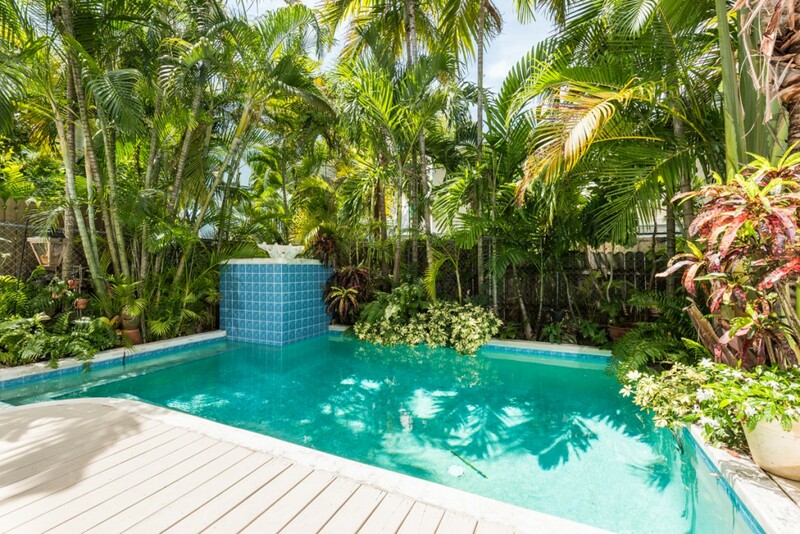 Just steps from a private gate, the spectacular shared pool is ready for your carefree enjoyment. Live the dream! 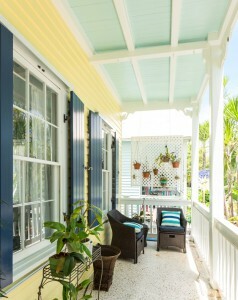 Make this charming island cottage your new vacation home in heart of historic Old Town Key West. 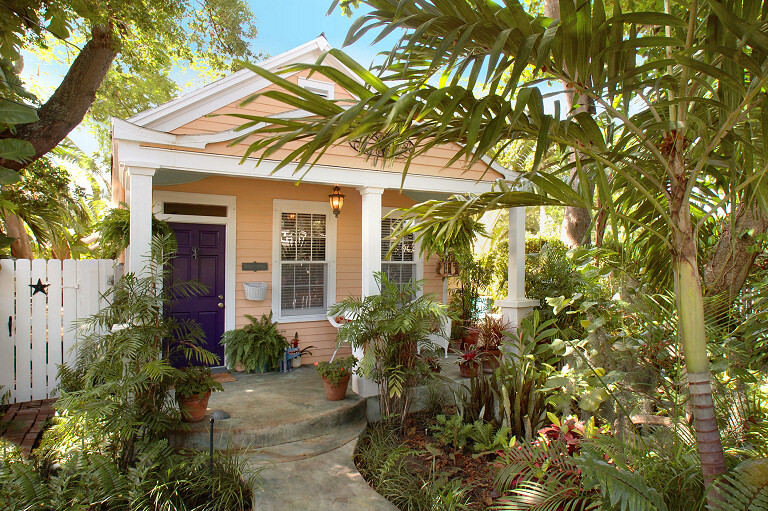 Click here to enjoy a virtual tour of this delightful Old Town cottage. Click here to visit 5 Brothers Grocery & Sandwich Shop’s website. 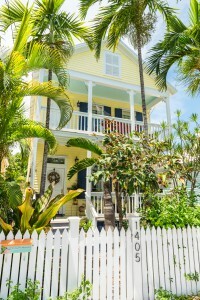 This entry was posted in Homes We Love and tagged 5 Brothers, 5 Brothers Grocery & Sandwich Shop, 5 Brothers Key West, cottage style, homes, Key West, Key West cottage style, key west real estate, Key West restaurants, Old Key West, Old Town, Old Town Key West, pools, real estate on March 11, 2016 by Dean. 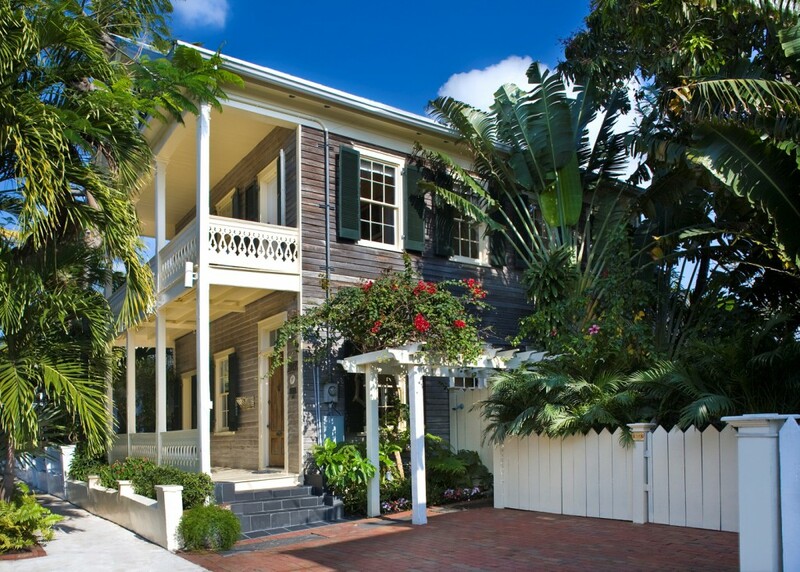 Our Top 10 Favorite Features of 711 South Street, Key West, FL—SOLD $3,650,000. 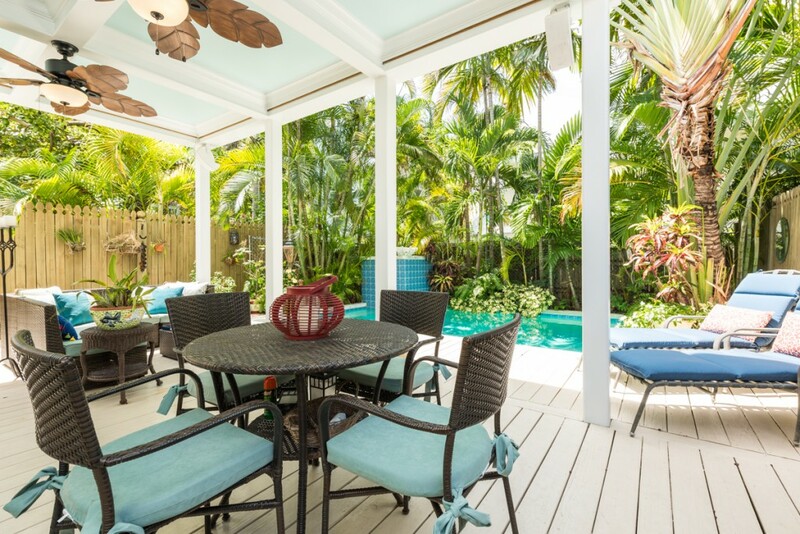 On a recent, warm and sunny, Sunday afternoon, we enjoyed hosting an open house at the exquisite tropical estate at 711 South Street in Key West’s beautiful Casa Marina neighborhood. Undoubtedly, many of the dozens of people in attendance turned out to see what you get for 4.8 million dollars (Now Reduced to $3,950,000.!). Amid glowing descriptions of “Totally amazing!”, “Four Seasons like!”, and “The most beautiful home I’ve ever seen!” we not surprisingly heard from many individuals that the property was worth every penny. We could not agree more. 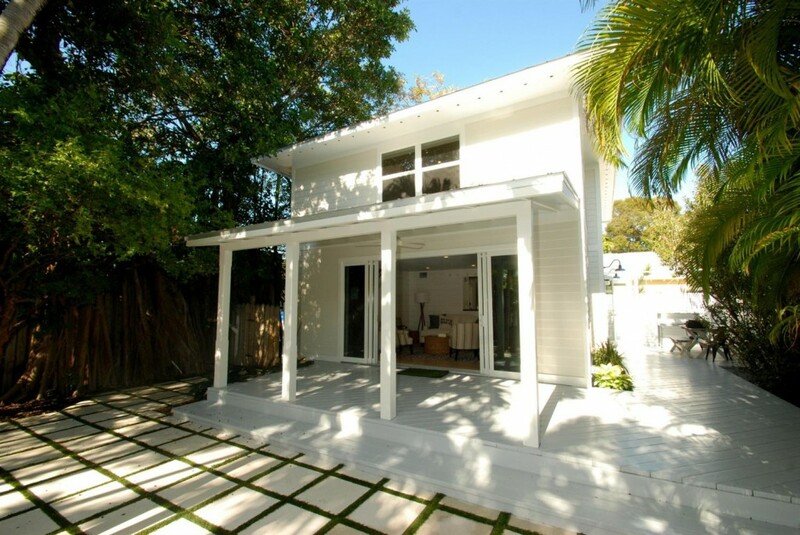 711 South Street is simply our favorite home being offered for sale on the island. Enjoy this list of our top ten favorite features of this four bedroom/six bath estate and you will see why this magnificent, one-of-a-kind, corner of paradise is not to be missed. Call us today to schedule your private tour. Reflective of the world’s best luxury island resorts, no detail has been overlooked in creating an environment of casual elegance and tranquility for this spacious estate. 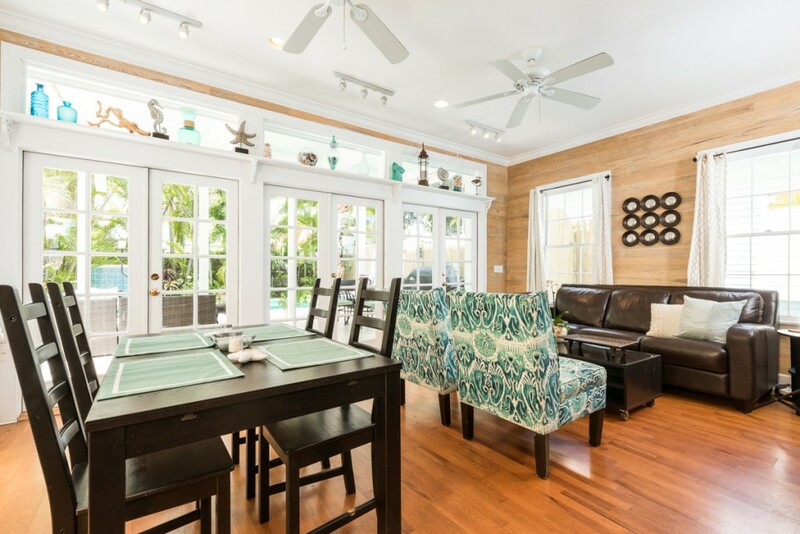 With 3,274 square feet of air conditioned space and a 15,252 square foot double lot, there is plenty of room for you and your guests to gather together, or to escape to a private corner of paradise. 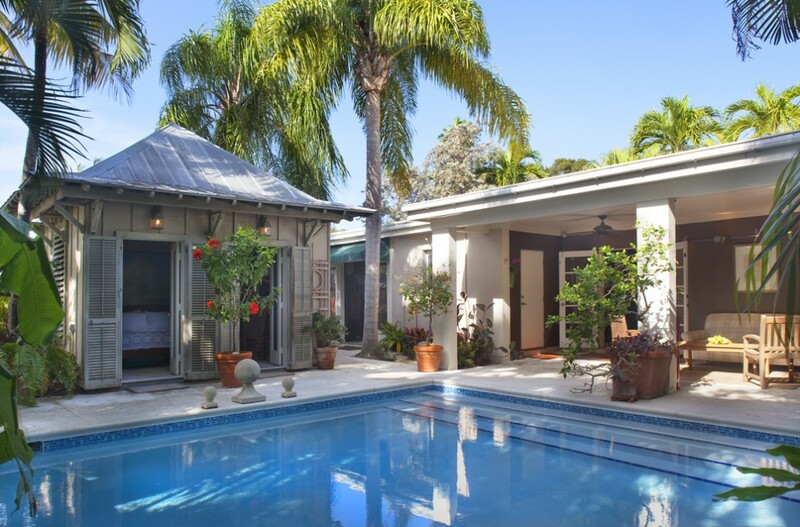 We love the two beautifully decorated guest bedrooms (each with an elegant en suite bath) that open to a large and inviting covered porch overlooking a secluded tropical garden. 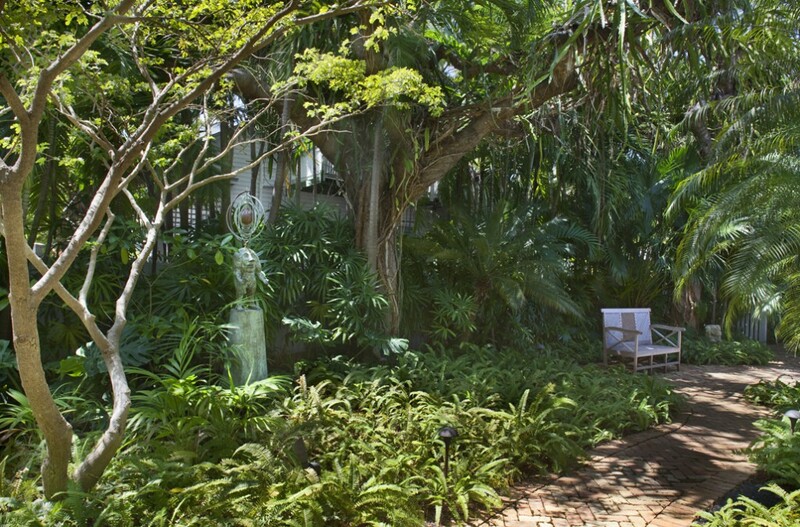 Meticulously cared for, the verdant gardens create an unforgettable tropical oasis. 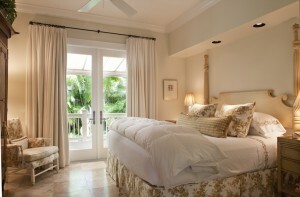 Opening to the grand veranda overlooking the pool, the gorgeous master suite is simply a masterpiece. Multiple closets, built-in dressers, owner’s laundry, travertine tiles, and easy access to the outdoor shower add to its appeal. From the top of the line appliances to the glorious granite countertops, the open-plan chef’s kitchen offers so much to adore. The custom tiger maple cabinets are a thing to behold—beautiful. With abundant room for outdoor dining, relaxing, and entering, the impressive front porch sets a welcoming tone that rings throughout the home. 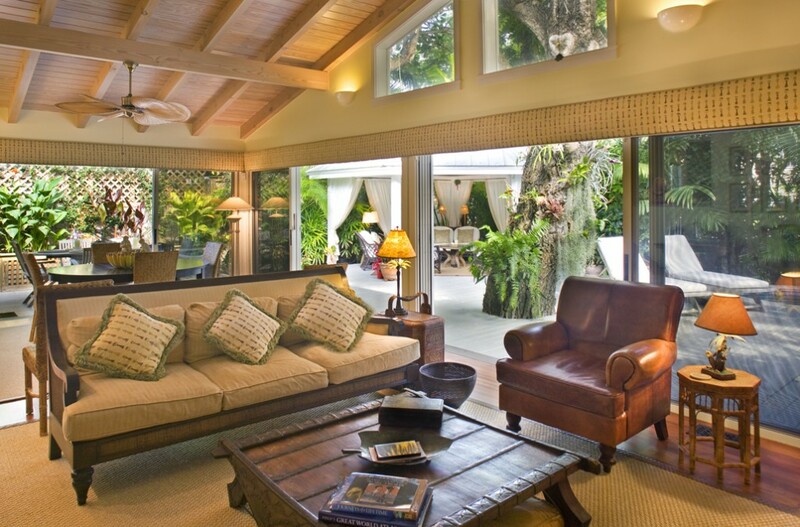 Tucked away above the estate’s detached two car garage, guests will never want to leave their splendid, private haven. An art collector’s dream, the gracious entry hall not only serves as a welcoming gallery space, it frames a spectacular vista of the living room, veranda, pool and gardens beyond. 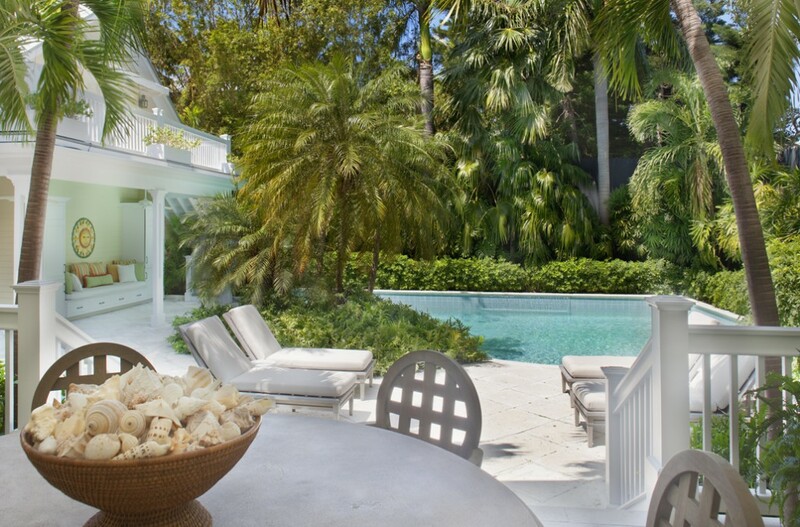 With its graceful, sweeping gesture, the estate’s resort style pool has captured our hearts. It will almost certainly capture yours. Acclaimed interior designer Alexander Baer worked with the owners of 711 South Street to create the home’s exquisite interiors. 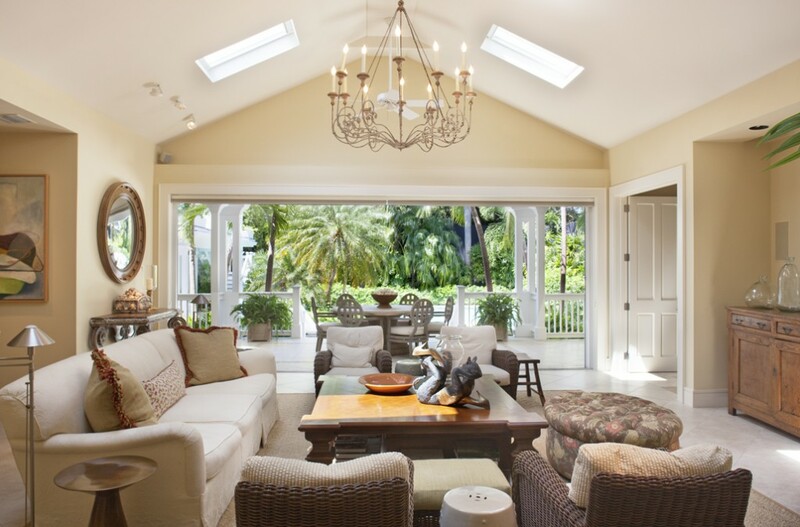 A welcoming air of easy island elegance is found in every room. You can kick off your flip-flops and put your feet up on the coffee table. With the extraordinary estate being sold turnkey with all of the impeccable designer furnishings (artwork, sculptures, and personal items excluded; with a list of exclusions to be provided by the seller), settling into 711 South Street will be a breeze. 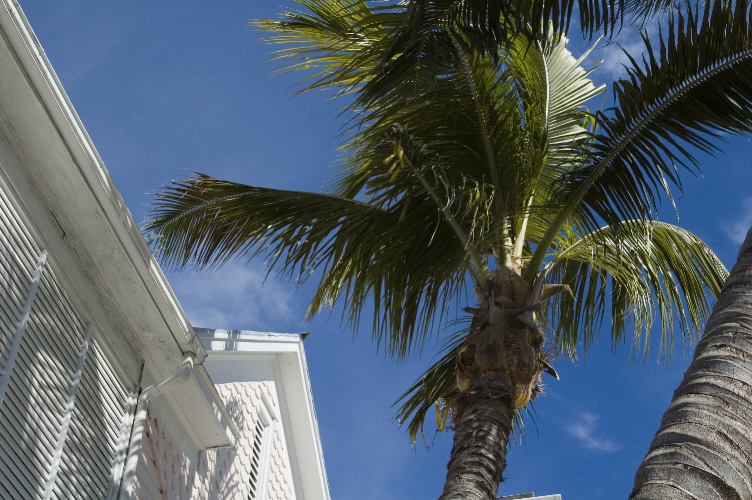 Click here to visit Jenkins Baer Associates’ website. 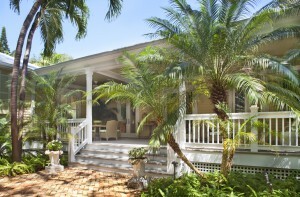 Click here to enjoy a virtual tour of this beautiful Key West estate. 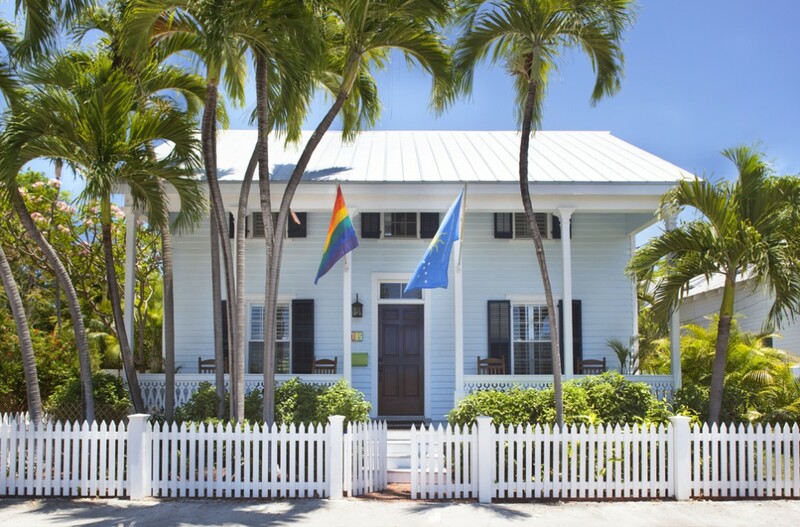 Click here to read more about 711 South Street, Key West, FL. 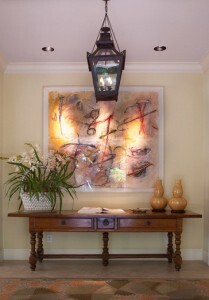 This entry was posted in Homes We Love and tagged Alexander Baer, art collecting, Casa Marina, front porches, homes, Interior designer Alexander Baer, Jenkins Baer Associates, Key West, Key West estates, tropical gardens, Tropical island estates on March 9, 2016 by Dean.